Visit the best places in Argentina. 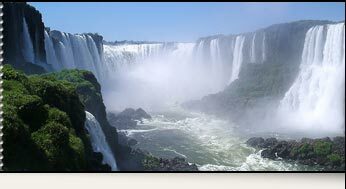 Discover the fabulous Iguassu Falls. Prices quoted in American Dollars. Rates suject to change & availability. Please consult before booking. do not occupy a seat.Children aged 3-05 years 10% discount. Tickets for the parks not included. They are paid cash at the entrance. Pick up & drop off on the argentine side included. Brazilian side add 20%.